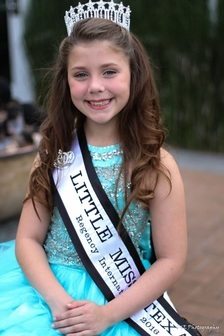 I am 10-year-old Meredith Charboneau from Houston, Texas. I am in 5th grade, and in my free time, I am a violinist and a dancer. 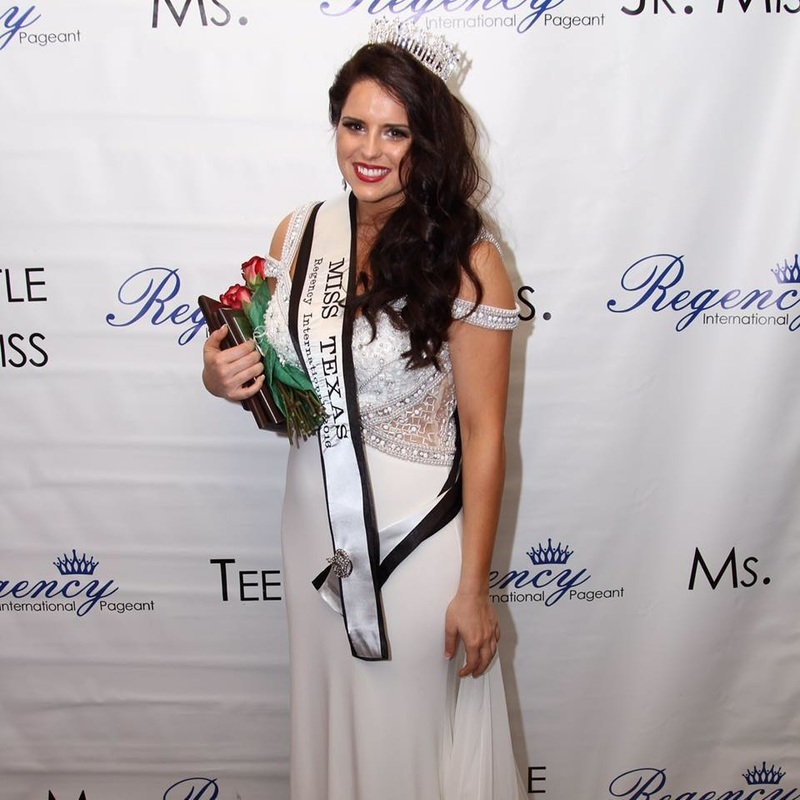 I started competing in pageants two years ago for the talent portion of the competition, but I soon fell in love with all aspects of pageantry. I especially love getting dressed up and making new friends. 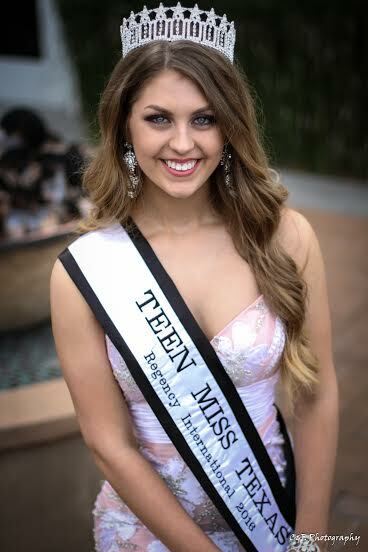 I am always really scared at the beginning of a pageant, but by the end, I feel more confident that I faced my fear and got up on stage. It is something that every girl should do at least once in their life. I am a huge panda lover! Last year for my birthday my mom took me to the Atlanta Zoo, one of only four zoos in the US with panda bears, and I got to feed a panda. Someday I want to study in China to be a panda veterinarian and advocate. Regina is an Emergency Medicine Physician, Lawyer, Professor, former NFL Cheerleader and beauty queen. She has a M.D. from George Washington University, J.D. from Georgetown University, B.S. in Molecular Biology from Hampton University and a Masters in Health Law from the University of Houston. She is currently Assistant Clinical Professor of Medicine at the University of Texas, Galveston. She is also a Medical Director and staff Emergency Medicine Physician at Hospitals in the Houston area. During law school Regina was a cheerleader for the Washington Redskins. She is a current member of the Science Cheerleaders Performance Troupe (a group of current and former professional cheerleaders with STEM-Science, Technology, Engineering, and Math careers that tour the country encouraging young women to pursue STEM careers). Prior to attending medical school, Regina was a Patent Attorney in Washington, D.C. She is a member of the D.C., Texas and the United States Supreme Court Bars. She has published multiple articles and a book in the Health Law field. 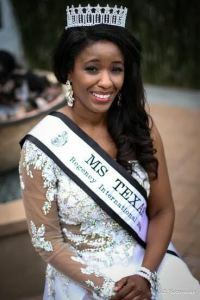 ​Regina is the reigning Ms. Texas Regency International. 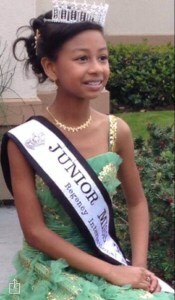 Maurielle Vargas is 11 years old from Port Arthur, Texas . She enjoys reading books, sewing, baking and cheerleading . She is the Student Council President at Robert E. Lee Elementary. She graduated this school year at the top of her class receiving 17 Academic Awards of Excellence. She was recently honored on the field of Minuet Maid Park for Academic Excellence. She loves to help people , and enjoys doing peer tutoring . She has 2 sisters who she loves dearly. For the 2016-217 school year she will attend Port Neches Middle School and take all Advance Placement Classes and cheer for PNGYFA. Her goal in life to become a FBI agent . Her moto is – the sky is the limit !!! Courtney Rae Moore is known for her work on Feral Confession (2015), Hoovey (2015) and Alternate Realities (2015). She has her Master’s Degree in Fitness and Human Performance from University of Houston – Clear Lake.